ACHILLES TENDON RUP | West Georgia Podiatry Associates, P.C. 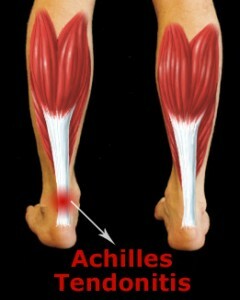 The Achilles tendon is the most powerful tendon in the human body. Tendons are strong tissues that connect muscles to bone. The Achilles tendon is located in the lower back part of the leg and works with the calf muscles to provide forceful foot movements. Achilles tendon ruptures most commonly occur as a result of sports injury. People with weakened and inflamed tendons are especially susceptible to injury.